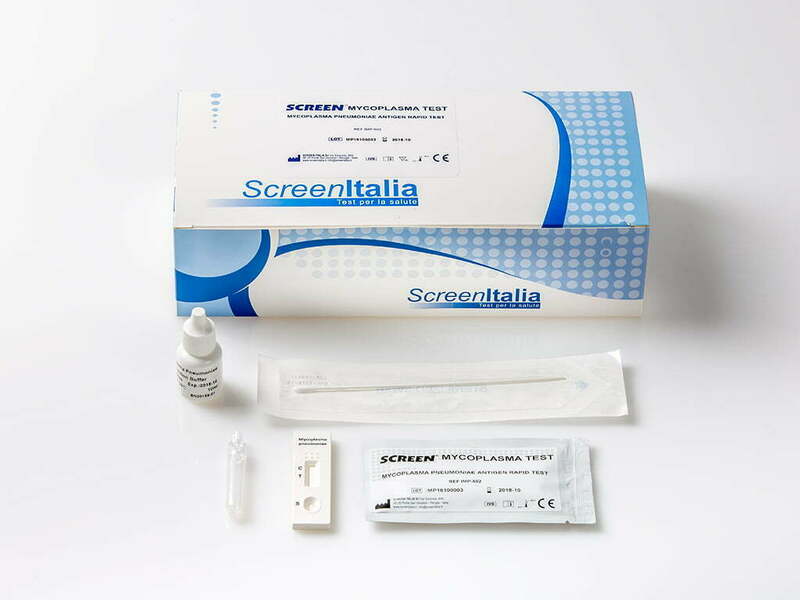 Mycoplasma Pneumoniae Antigen Rapid Test Cassette is a rapid chromatographic immunoassay for the qualitative detection of mycoplasma pneumoniae(M. pneumoniae) antigens in human throat swabs. It is intended to aid in the rapid differential diagnosis of mycoplasma pneumoniae infections. The Mycoplasma Pneumoniae Antigen Rapid Test Cassette a qualitative, lateral flow immunoassay for the detection of M. pneumoniae antigen in a throat swab. In this test, antibody specific to M. pneumoniae antigen is coated on the test line region of the test. During testing, the extracted throat swab specimen reacts with an antibody to M. pneumoniae that is coated onto particles. The mixture migrates up the membrane to react with the antibody to M. pneumoniae on the membrane and generate a color line in the test line region. The presence of this color line in the test line region indicates a positive result, while its absence indicates a negative result. To serve as a procedural control, a colorede line will always appear in the control line region, indicating that proper volume of specimen has been added and membrane wicking has occurred.